Imagine the excitement and energy among these New Mexico Tech Students as they worked with a team to achieve the ambitious goal of launching a commercial solid rocket that soared to Mach 1.27 that was well into the supersonic range, and another positive aspect is that the rocket is reusable and was recovered intact. 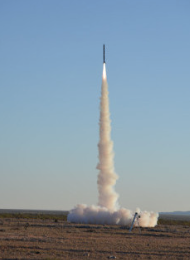 On Sunday, April 15 at 7:05 AM MDT, The New Mexico Institute of Mining and Technology (NMT) Rocket Team launched the latest of its student rockets from the Spaceport America Vertical Launch Area. The rocket was developed jointly by NMT and White Sands Research and Developers (WSRDs), a Las Cruces certified Woman Owned Small Business specialized in aerospace R&D. 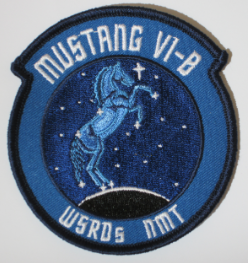 WSRDs commemorated the Mustang 6B mission with a mission patch developed by Chip and Lenora Wyly shown in above left. The rocket, called the Mustang VI-B, is 10.9 feet long and 6.1 inches in diameter and used a commercial solid rocket motor to soar to 24,127 ft. The maximum speed during the launch, 1372 feet per second or Mach 1.27, was well into the supersonic range. The rocket is reusable and can be processed and reflown rapidly. Dr. Michael Hargather, Mechanical Engineering Professor and Faculty Advisor New Mexico Tech stated that it is gratifying to see the hard work of the students pay-off with such a spectacular success. They look forward to future launches. 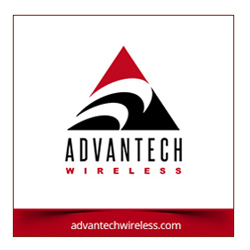 They greatly appreciate the support from Spaceport America and White Sands Research and Developers. Dan Hicks, Spaceport America CEO stated that he congratulates the Tech students and Dr. Hargather on their success. The partnership with Spaceport America has resulted in four launches with each being more ambitious than the previous. These students will be fine additions to America’s aerospace workforce. Aaron Misla, Mechanical Engineering Student and Rocket Team Co-lead New Mexico Tech added that it’s the culmination of everyone’s hard work and dedication to a common goal. To succeed with flying colors like this is the best possible scenario they could have asked for.